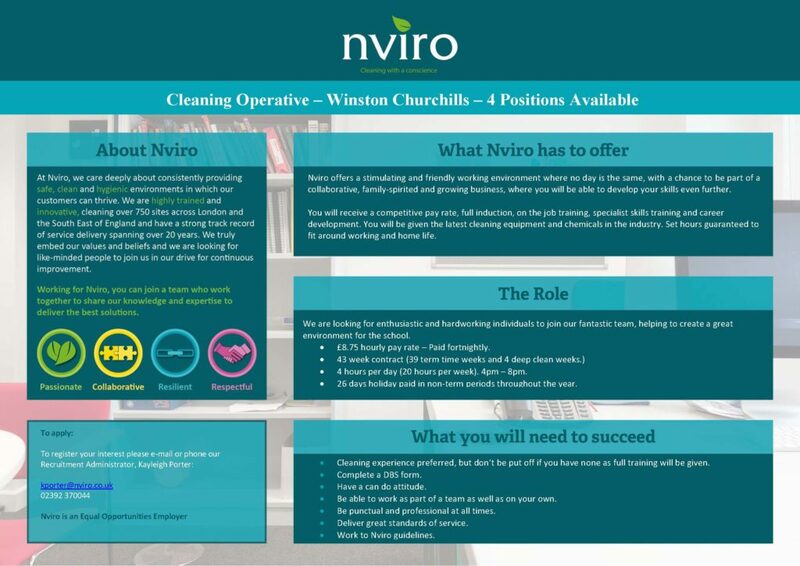 We require part time Cleaning Operatives to work in Winston Churchill School, Woking. Working Monday to Friday 4 hours a day at £8.75 per hour, paid fortnightly. Shift times are 16:00 – 20:00. Duties are general classroom and toilet cleaning. The position is a 43 week contract with 26 days holiday. You must be willing to undergo a DBS check. Thank you for your interest in Nviro.